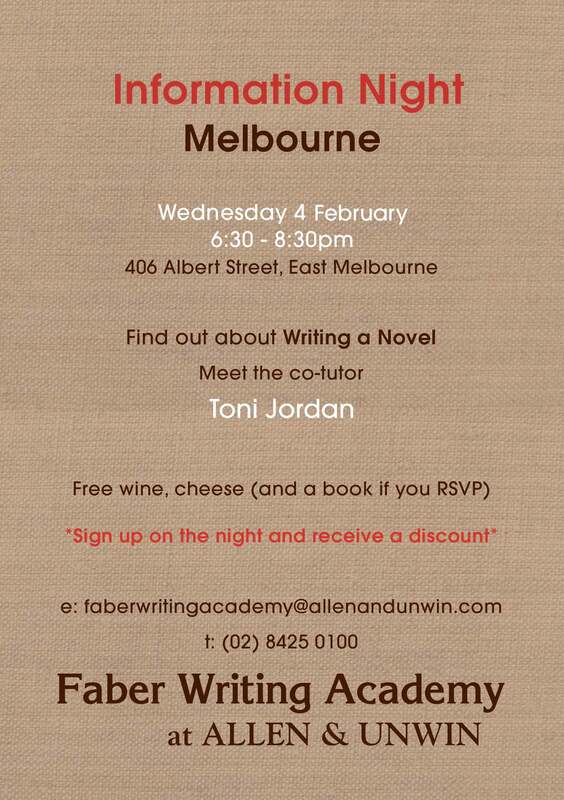 Those keen to undertake our Writing a Novel course with Faber Writing Academy in Sydney and Melbourne have until Monday 9 February to get their applications in for the scholarship, which is available for one applicant in each city to undertake this six month course for FREE. Writing a Novel is a comprehensive course providing the structure and support you need to write the first draft of your novel. 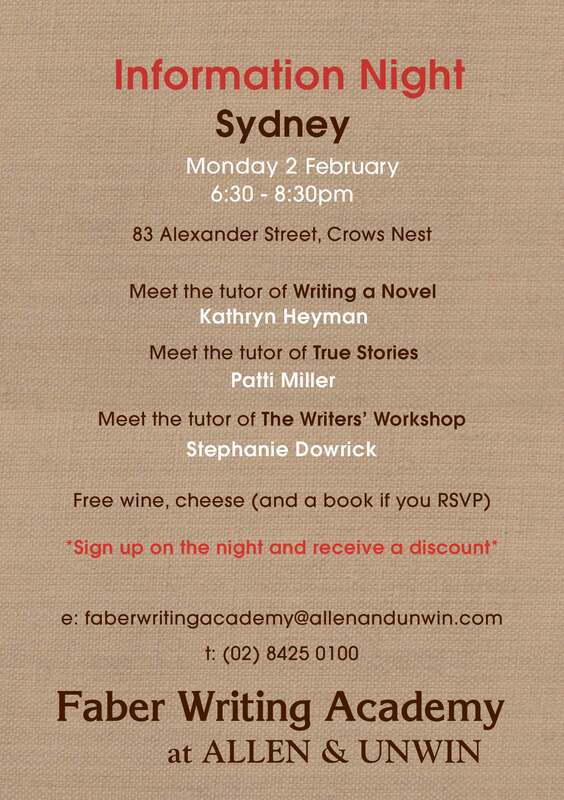 For 2015, our renowned course directors are Kathryn Heyman in Sydney with Toni Jordan & Paddy O’Reilly in Melbourne, as well as guest tutors including top authors, editors, agents and industry professionals. Anyone who has attempted to write a novel knows how difficult it can be, how easy it is to become trapped in the thicket of your own work. 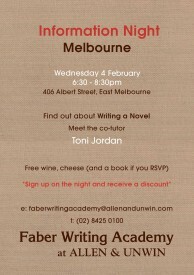 Undertaking this course is like being led into a clearing – it provides a sort of illumination of the novel writing process. Full details of the courses can be found on the Faber Writing Academy website, and further insight into our Writing a Novel course can be found in blog posts from our 2014 scholars Clementine and Sarah. If you want to find out more, we’ve got information nights taking place on Monday, in Sydney, and Wednesday, in Melbourne – so come along to find out more from some of our tutors and meet other students. 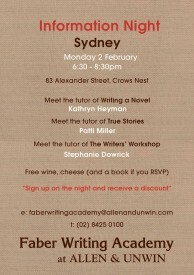 You can also find out about all the other writing courses we run in Sydney and Melbourne.